We've always believed and heard that our experiences are one-of-a-kind. This has just been affirmed and we're now in great company! We're both honoured and thrilled that our 5-Day Sea Otter Kayak Tour was recently selected as a Canadian Signature Experience. This trip is one of 28 new additions to the nation-wide collection that showcases Canada, featuring some of our most outstanding authentic tourism opportunities for global visitors. Here's more of a description provided by the Canadian Tourism Commission. 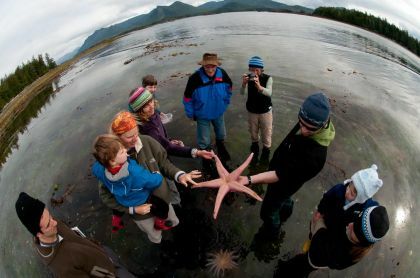 1 of 9 experiences on Vancouver Island - a great place to visit...or call home! Congratulations to all of the other members! We recognize that they too offer one-of-a-kind, authentic, and outstanding experiences. We look forward to working together with them, introducing global visitors (and more Canadians!) to the best of Canada.